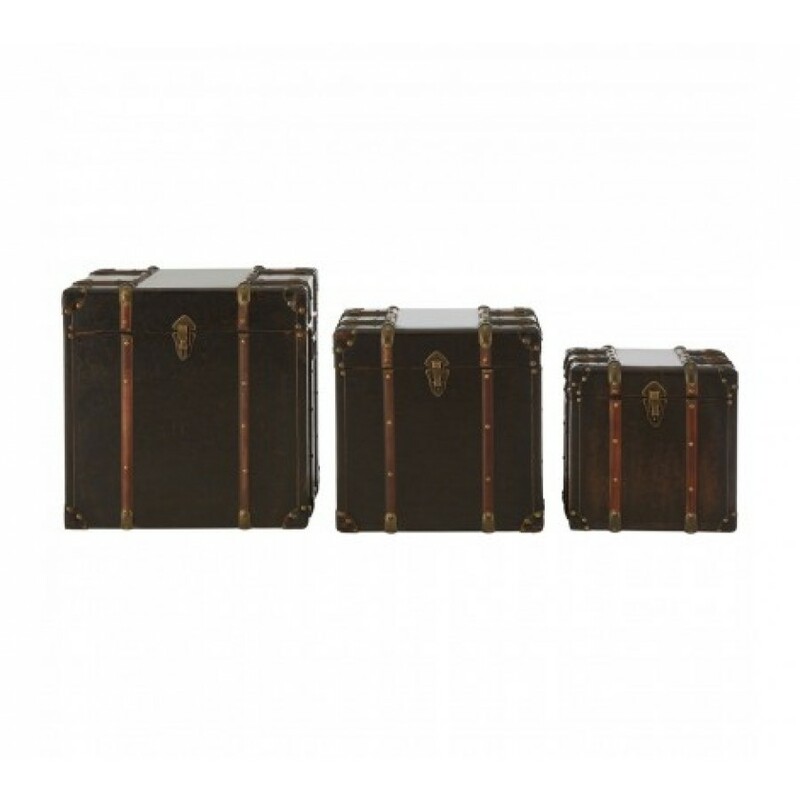 Traditional style, a functional storage solution, our set of 3 Bogart trunks featuring a brown leather effect finish, will make a welcome addition in your home. The 3 trunks; S - w35 x d29 x h35cm, M - w43 x d35 x h43cm and L - w51 x d41 x h51cm, are made from durable and reliable MDF, ensuring your contents will be safely kept. PU leather effect finish, with straps and metal studs detail accentuate their worldly look, while a clasp fastens securely, adding to the security of the trunks. Metal handles on the side allow you to move the storage trunks when required. A wonderful feature in your bedroom or living space, the set of three Bogart trunks are ideal for storing clothing, linen, books, magazines and other knick-knacks for that clean and tidy home you want.